How do you build an icon? A lot of people blur the lines between iconic and popular and it’s an easy mistake to make because by all intents and purposes for something to be iconic it has to be popular. The distinguishing factor between the two is longevity. Standing the trial of time is a challenge faced by brands across all industries and nowhere is that more prevalent than in the fast-moving world of football. From clubs to players, matchballs to kits, iconicness towers over the cultural landscape of the beautiful game. At the heart of it, is the boot, a recognisable artifact symbolic of generation after generation. And one model has continuously set the standard – the adidas Predator. Now, the genesis of an icon is no easy task but with Predator, adidas has indisputably understood and employed the right ingredients to cement a legacy as one of game’s greatest boots. Connected to football’s most celebrated stars and synonymous with memorable moments – think David Beckham scoring from the halfway line against Wimbledon and Zinedine Zidane‘s perfectly pirouetted volley against Bayer Leverkusen – no other shoe has mastered the blend of heritage and innovation quite like Predator. After a two-year retirement, the beast is back. Since hitting the scene in 1994, the brainchild of former Liverpool midfielder Craig Johnston has developed to dominate both the market and the pitch. From the rubber fins for ball manipulation to the fold-over tongues for a cleaner shooting zone, Predator almost single-handedly revolutionised boot design. Such is it standing, few products have communicated the vision and values of adidas quite like Predator and when you look back, there has been a natural progression and evolution over the years. While the new Predator 18+ is a subtle nod to the past, true to the brand, it’s built for the future. But the construction of a reimagined icon presents many challenges and after a two-year assembly Sam Handy, vice president of design in adidas’ football division, believes his team has created what he describes is the “best boot” on the market. “The boots have spent at least two years in development, from initial sketches to first prototypes,” Handy tells Sport360. “The early prototypes we test on semi-pros or amateurs and then we build up through our testing process to the point where we are confident enough in the sample quality to test with professionals as well. “Then we take their feedback, retest and then rebuild so it’s a very fluid and organic process of starting with a lot of people then working our way up to a few people. “But we take the testing and the co-development with football players and then with the best professionals incredibly seriously. Predator 18+ will be worn by Manchester United superstar Paul Pogba, Barcelona‘s Ivan Rakitic, Tottenham’s Dele Alli and Arsenal playmaker Mesut Ozil. While the professionals form an integral part of the rigorous testing process, keeping a secretive project like Predator underwraps meant the likes of Pogba were almost the last to know of its return. “One interesting reality is we were secretly bringing Predator back but we didn’t even want to tell the players,” explains Dean Lokes, vice president for product in the adidas football division. “There’s a dressing room and people talk. A lot of the prototypes didn’t have the toe, it was just a plain toe like an ACE (model) so we left it until the absolute last moment even for the players to know we were bringing Predator back. “Some early prototypes have on the back of it ACE 18 360 which is the code name for Predator in the same type font as Predator. “This detail was hidden for quite a long time because we know players talk and sometimes images get shot, even the secretness was held to the top players for as long as we could do. “I think also what we may sometimes forget is, Pogba grew up wearing Predator. Anticipation of its release saw Predator 18+ sell out within 10 minutes after launching in the UAE. There was never any doubt the current generation of footballer would see the attraction of Predator but for the old-school boot man, the latest iteration is a big step away from the retro designs of the past. As boot innovation has moved towards a focus on weight, the knitted design and laceless structure has become the standard. The sockfit collar, which works to naturally expand to the foot’s shape, provides an ideal second skin for players who like to create, minimising the material between foot and ball. But transitioning Predator from a design perspective was one of the brand’s biggest challenges. Handy adds: “We had really good innovation, which allowed us to bring Predator back and the biggest design challenge we had through the process was to not build a retro product. “Everyone is in love with old shoes and they’ve seen what we’ve done with the Precision bring back, with the Precision Ultra Boost and the Beckham shoes and they’re so iconic, exciting and beautiful shoes that we don’t want to make a retro. “We want to make a Predator for 2018 that no one has ever seen before but that seamlessly connects through design language and through experience, that it feels like a Predator. “That’s the hardest bit, to not go backwards. It would have been the easiest thing to put a fold on the tongue, it would have been the easiest thing to give it bladed studs and make it out of leather but that isn’t what our Predator and ACE players wanted. The creative direction for adidas is of course being driven by next year’s World Cup. 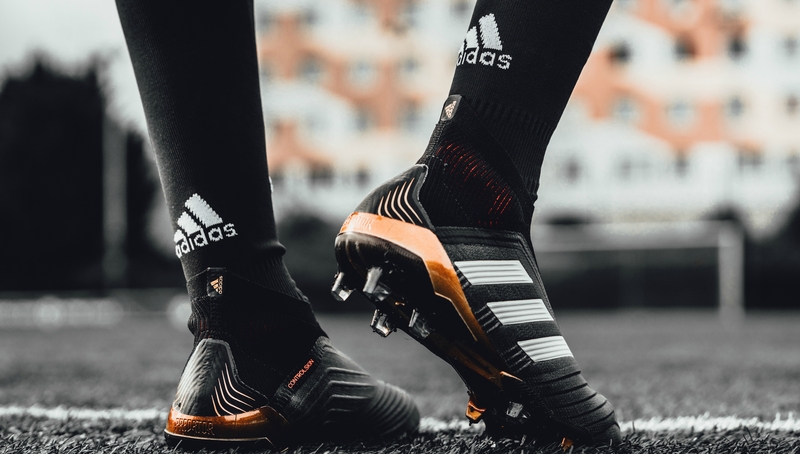 A plethora of new products are yet to hit the market with Predator 18+ just the tip of the releases but while the world focuses their attention on what will be on display in Russia, adidas are looking to the future. “We’re already working on Euro 2020. We work two years out in terms of timeline so for us it’s really exciting to work on World Cup 2018 products for the last two years and to launch it now,” Handy explains. 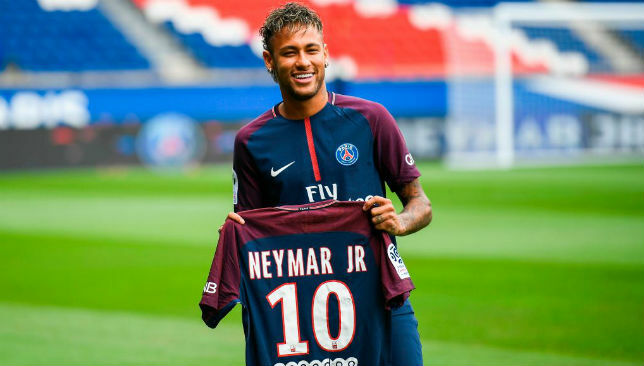 Neymar became the world's most expensive player last summer. In the summer of 2016, Manchester United raised eyebrows by breaking the world record transfer fee to bring Paul Pogba back to Old Trafford from Juventus. The €105 million fee was astronomical but in a year’s time, Paris Saint-Germain came along and absolutely obliterated it. The €220 million spent to wrangle Neymar away from Barcelona’s grasp dwarfed the previous record sum, more than doubling Pogba’s fee. The Brazilian was always expected to one day establish himself as the best player in the world and his move from Santos to Barcelona in 2013 was meant to set him along that path. While playing alongside Lionel Messi certainly helped him elevate his game to a new level, at some point, he became aware of the fact that the Argentine maestro was not slowing down and his presence began to overshadow his performances rather than facilitate his development. Perhaps the turning point was Barcelona’s incredible comeback in the Champions League against PSG back in March, 2017. Neymar’s phenomenal performance helped the Catalans win 6-1 and overturn a 4-0 defeat in the first leg of the round of 16 tie. He was incredible against the Parisians all night, leading Barcelona’s fightback, particularly in the dramatic closing stages when he scored twice and set up Sergi Roberto for hair-raising winner. However, the iconic image that emerged in the aftermath, particularly from the club’s official social media channels as well, was that of Messi celebrating passionately with Barcelona fans. It was evident that the Argentine would always be the darling of the Nou Camp and attract the majority of the plaudits. That played a big role in Neymar’s decision to move to PSG, to be the main man, win the Champions League and be rewarded with a Ballon d’Or of his own. For the French outfit, he raises their game on the pitch and their profile off it. 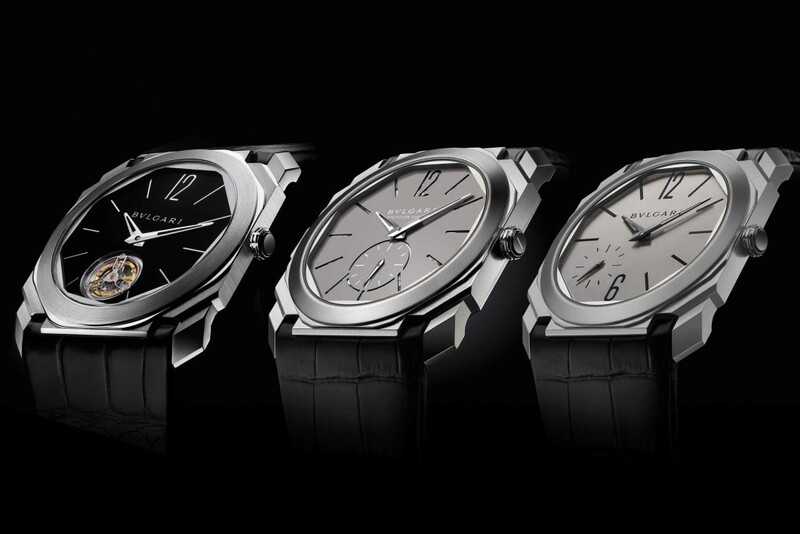 Bulgari is once again the spotlight, proudly presenting its third successive world record. The Octo Finissimo Automatic is the slimmest ultra-thin self-winding watch on the market to date. 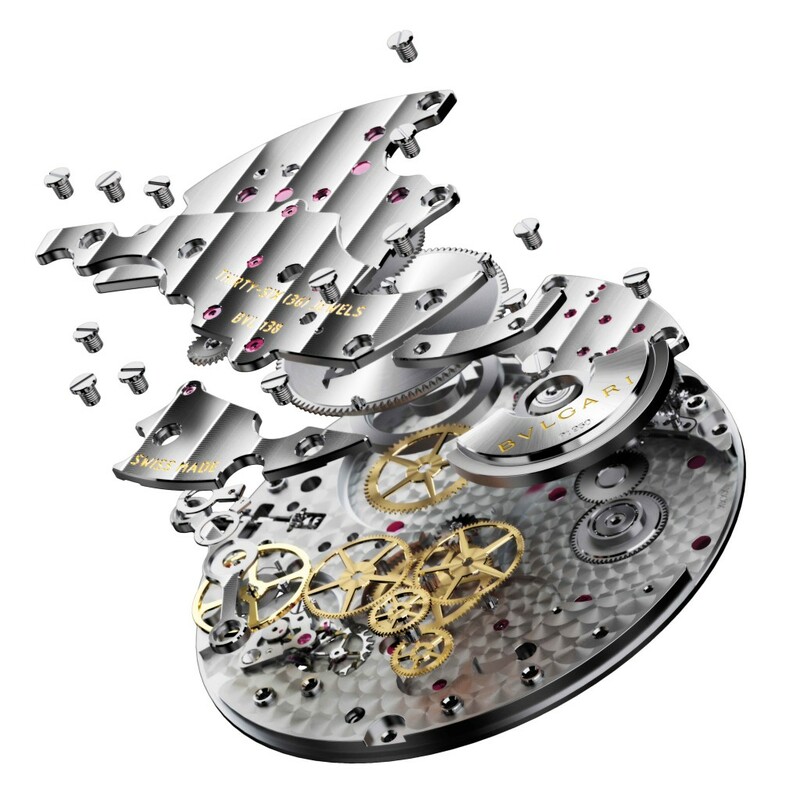 After introducing its Tourbillon in 2014 and the Minute Repeater in 2016, the Maison unveils its new creation featuring a total thickness of just 5.15mm, while its self-winding movement is just 2.23mm thick for a 40mm diameter. The iconic Octo is once again pushing the boundaries of watchmaking feasibility. 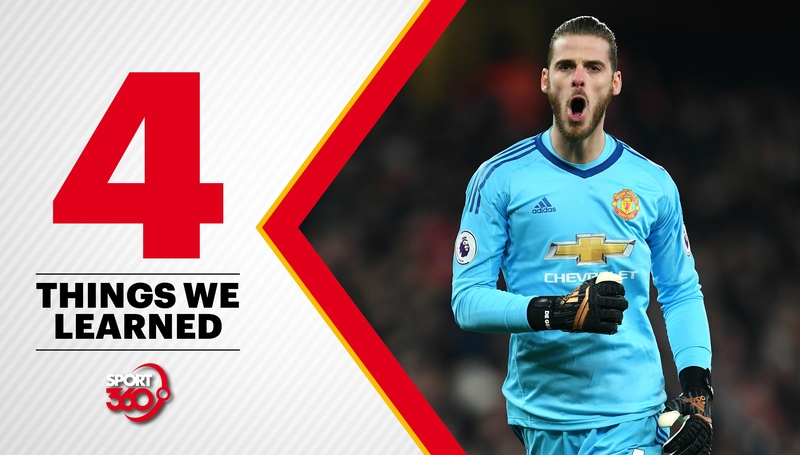 Manchester United won a breathless bout with Arsenal 3-1 as Jesse Lingard scored twice, David De Gea demonstrated his brilliance and Paul Pogba was sent off. 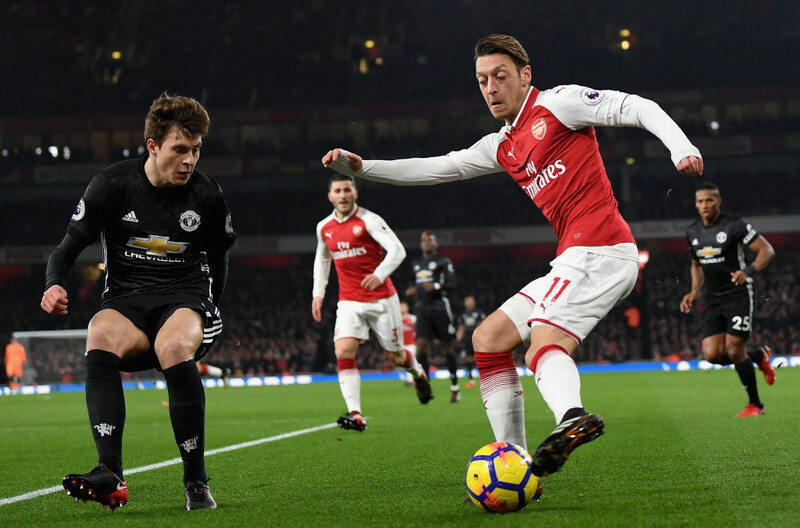 Antonio Valencia and Lingard pounced on defensive mistakes by Laurent Koscielny and Shkodran Mustafi as Jose Mourinho‘s visitors took a 2-0 lead inside 11 minutes at the Emirates Stadium. Arsenal refused to buckle. Alexandre Lacazette netted when United’s defence stood still, but De Gea made a string of fine saves to deny the Gunners. 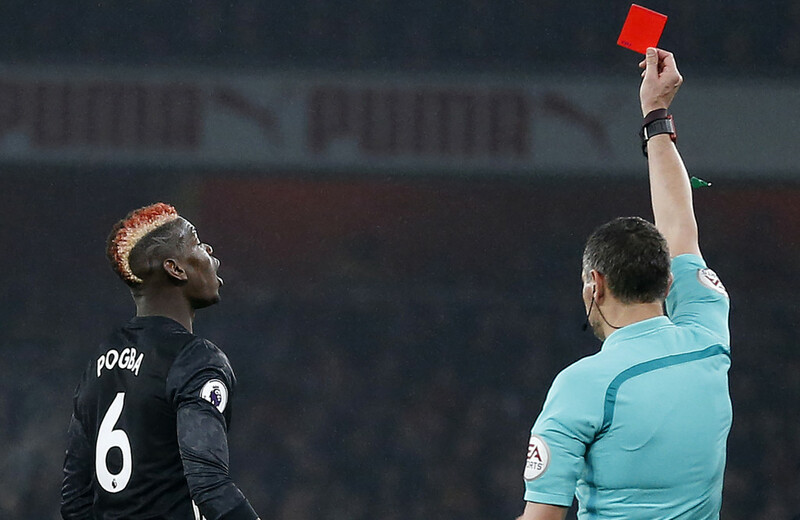 Lingard struck on the counter-attack following fine work from Pogba, who was then shown a straight red card for a studs-up challenge on Hector Bellerin. The midfielder’s offence carries an automatic three-match ban and rules Pogba out of next weekend’s Manchester derby. The win saw second-placed United move five points behind rivals City, the Premier League leaders playing West Ham on Sunday, while Arsenal are seven points further adrift in fifth. Here, we examine four things learned from the Emirates. A truly Jekyll and Hyde performance from Paul Pogba. First, the good. When the Frenchman plays there is an instant verve and pace to United’s play. His touches are quick and crisp, his passing likewise and the assist for Lingard’s second was a microcosm of the positive play he brings to United. When put through on the angle, others would have shot and likely missed. Pogba, though, darted to the byline and then despite contact, maintained balance before poking a perfect pass for Lingard to tap home. His importance to United is unquestionable. The rhythm of their play is dictated by the 24-year-old and that’s why his sending off triggered reverberations among the Old Trafford faithful ahead of next week’s Manchester derby. Yes, they were a man down but United’s repression from attack to an ultra defensive approach when he left the field was indicative of how crucial he is. Without him against City, a game which Mourinho’s men simply have to win to stay in touch at the top, their chances are diminished. Corners of social media mocked his dismissal after he talked of a hope City suffer injuries to key players to give United an avenue back into the title race. But for United it takes just the loss of one man to hand the initiative to their city rivals. There’s growing support for Barcelona stopper Marc-Andre ter Stegen’s claim to the throne as the world’s best goalkeeper but David De Gea showed again he won’t abdicate that title in the near future. Ter Stegen has cut out the mistakes from early on in his Camp Nou career and has been virtually unbeatable this season. A pillar of strength, his interventions at key times are one of the reasons why the Catalan giants sit top of La Liga. But De Gea is simply otherworldly right now. In light of his display against Arsenal, it’s easy to jump to a hot take but his heroics at the Emirates Stadium was just an amplification of the qualities he’s shown all season. If you read back through a text live commentary of United’s win, every update would read “De Gea saves”. He was 10/10, if a striker gets that rating for a hat-trick, then De Gea went beyond that. The Spaniard made 14 stops against Arsenal – the joint-most by a keeper in the Premier League era. And it was the complexity, dexterity and flexibility of the vast majority of those saves which impressed most. He achieved quality and quantity to secure the three points, an absurd double save in the second half a testament to his title as the world’s best goalkeeper. Whether it was at the back, or up front, the Gunners shot themselves in the foot. The game looked beyond the hosts inside the first 15 minutes after two dreadful defensive errors under the pressure of United’s high press. Laurent Koscielny gifted United their opener when his awful pass was easily intercepted by Antonio Valencia. His pass inside to Pogba then saw four Arsenal players descend on the Frenchman with Valencia free on the right to take a touch and drill through Petr Cech’s legs. And it got worse. Mustafi was robbed of possession trying to play the ball out from the back and credit to United, the path to goal was slick and surgical but it was still preventable. When Arsenal finally fought their way back into the game, they then paid for their profligacy. They had the chances to win this game by a margin and while De Gea was tremendous, the lack of conviction at times was infuriating. Back to front, it just didn’t happen for Arsenal. Arsenal attempted 26 crosses against United which pointed to a lack of ideas, especially when the visitors went down to 10 men. The vast majority of those were lazily hung in the air and the problem is they were employing the tactic against one of the strongest and tallest sides in the Premier League. At one point, they had five international strikers on the pitch and yet the service to them was dire. Pushing Iwobi out wide was the killer because Arsenal had no width and it led to the early meaningless crosses.